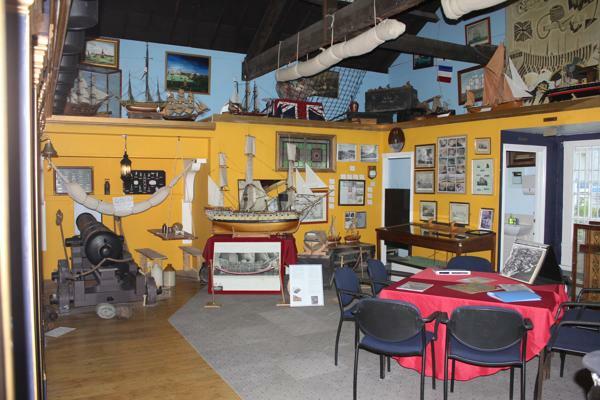 The Blue Town Heritage Centre is situated on an atmospheric Victorian high street on the outskirts of Sheerness on the Isle of Sheppey in Kent. Blue Town was a community built for dock workers and a high dock wall looms opposite the Centre. Unusually, the building combines a museum, cinema and a working music hall theatre. Jenny Hurkett, the founder and manager of the Centre, converted a kitchen showroom she owned with her husband after screening a film on local history that attracted hundreds of visitors. She was motivated by a strong feeling that Sheppey’s history, including the docks and its role in aviation history, was being ignored by regional tourist authorities. Jenny discovered the building was on the site of the Criterion Music Hall (bombed in WW2) and they then rebuilt a theatre which is regularly open for music hall, variety shows, cinema screenings and conferences. Local prisoners were involved in the conversion work. She also established the Eastchurch Aviation Museum and chairs a network of museums in Swale. The Heritage Centre covers various aspects of local history including the development of the docks at Sheerness; the Blue Town community (named after the blue paint from the dockyard used to protect the wooden houses); a local co-operative movement that predates Rochdale and other aspects of local and domestic history. Upstairs is a purpose-built gallery devoted maritime history full of models, tools, signs, maps and ephemera relating to the docks and the working life of the docker community. It also includes a reconstructed deck scene of the HMS Victory including a captain’s cabin and a gruesome surgeon’s room, complete with sawn-off legs. The centre also provides historic tours of the island and includes a café. It also has a role as community hub and often hosts groups with special needs, alongside their busy theatre and cinema programme. Photo and text by Robin Newton-Clare and Toby Butler.